I just finished reading the very exciting first two parts of the trilogy by Amish Tripathi- The Immortals Of Meluha and The Secret Of The Nagas. What if Lord Shiva who is worshipped as God was only just a human being like you and me but was elevated to the status of a God due to his sheer karma? This is the basic premise of the trilogy which mixes fiction with historical facts very beautifully to send across a far deeper message. Shiva is portrayed as a ordinary person who is faced with the enormous challenge to rise to the call of his destiny that may elevate him to be called as the God of Gods or the Mahadev. The story is set in the period after Lord Ram, with two set of clans-the Suryavanshis and the Chandravanshis- fighting a moral battle. An age-old battle between the good and evil unravels through the life of Shiva, the path he chooses and the decisions he makes that makes him an extraordinary power. 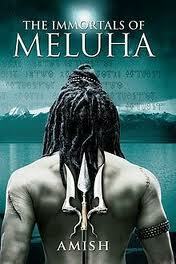 The plot, the characters and the details of the story-line have been etched out brilliantly by Amish Tripathi. The riveting twists and turns in the story are a creative mix of the legendary faith and fiction, bringing out the larger message in an intriguing manner. That, the good, bad and evil are forms of our perception. Who is to say you are good and I am bad? We all fight the moral battles everyday. But is it really a battle with an outside force? If you are interested in mythology or fiction with a mix of history, I'd strongly recommend both the parts. In fact, I suggest you to get both the parts at one go because after the first you'll surely crave for the next and you don't want to wait too long :-). As for me, I am eagerly waiting for the third and final part in this series to be launched soon. I got this as my birthday gift this year from a friend.. but sadly time constraints have not let me finish reading it. I really liked the books too. But now I'm reading Ashok banker's ramayana series and it is brilliant!! Have u read those? I always used to find Rama a little boring - too perfect, too ideal -- but this book does the same that amish did with shiva - potray him as a mortal rather than a god. Ashok Banker, is it? 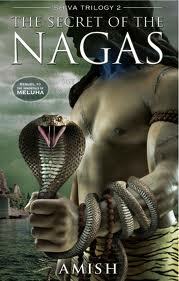 will be next in the line..my friend suggested Chanakya's chant by Ashwin Sanghi..have you read it? I really want to read them, but do not get them in SG. Have to order from flipkart and ask someone to get it here. Sigh! Oh! :-(..maybe you can get them when you are here, next..?? Call it how the world heard my wishes :) Actually, my room mate did. She is travelling to Delhi and is bringing the books. I have ordered the trilogy along with other interesting reads. Can't wait to have them. One of the finest fiction from India and not the Chetan Bhagat types.. AM waiting for the third for quite some time, it might come by jan next year..
Heyyy...where have you been?? simply disappeared from the blog world?? yeah..looks like many of us are waiting for the third part. :-) Jan, is it? Published by Westland, each part is around 400 pages. You can get both the parts for a discounted rate at flipkart for around Rs.260. I have both the books , last year when i had come to india I had bought them both but sadly havenot had time ot read them yet .. I HAve to read ..
You should read them when you get a chance, Bikram. which book are you reading, Jas? I have read the first part and I have the second part from a friend(not read it yet). I have to admit that I did not find the first part very interesting. I am a Shiva devotee and that might be the reason due to which I am not able to accept the story of Shiva in human form. Let me see how the second part goes. Oh!...ok..maybe yes, it can be difficult for staunch devotees to read something like this.. I read reviews of this book and was considering reading it .. I think I will give it a try .. I love both mythology and history .. A mix of the two should definitely be a worthy read ..
Found another book called 'The Guardians of Karma' on Amazon.. Thanks for the reco! wish you'd left your name.